A lot of us nowadays rely on our gadgets to keep track of what events and activities are happening in our lives. Thus, a calendar app becomes pretty important. 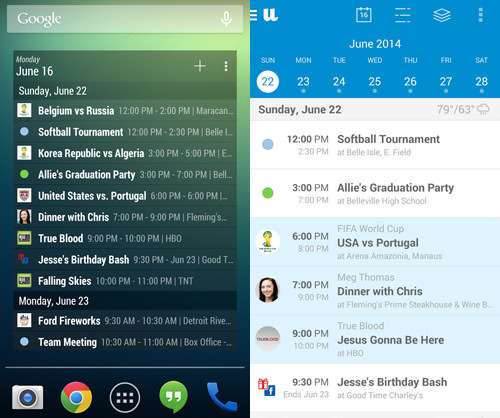 There are a bunch of calendar apps available on the Google Play Store. However, finding a free one that is good both in terms of features and design can prove to be somewhat difficult, as it may not be able to provide the proper mobile experience you’re looking for or integrate effectively with your Android device. This is why we took on the task of finding calendar apps that would be able to tick the right boxes. 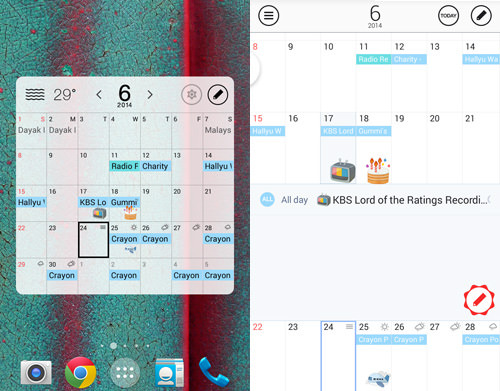 What we’ve come up with are 5 exceptional and well-designed Android calendar apps, that could potentially replace your current one. If you’re looking for a new experience in terms of planning your schedule, and you’re ready to say goodbye to the stock one that comes with your Android device, then give these apps a shot. The moment you open the DigiCal calendar app, you are greeted by the elegant clean white interface of the Holo Light theme and a dark top bar. Embrace the dark side (if that is your thing) by changing app preferences to switch to the Dark theme. 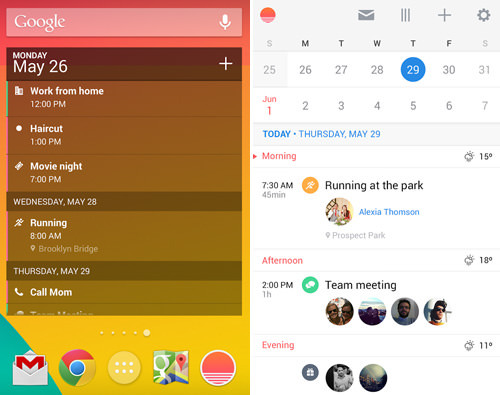 Themes aside, DigiCal also comes with stylish calendar views, customizable lock screen widgets, built-in location search, Google Now integration, and enhanced notifications. This app has been popular with iOS users for some time, and is now available for Android. The Sunrise app design is very apple-like, as it’s quite clean and beautiful. It supports Google calendar and the Apple web calendar, and if you have doubts about switching over, it also has a web version. UpTo takes a different approach by presenting itself as a calendar app with layers, where you can configure the front or back layers. This makes it less cluttered, as it prioritizes showing your front calendar first while you have to pinch or tap the back calendar to display its contents. By default, your device calendar will automatically be synced with UpTo and this app supports any calendar that can be synced to your android device. SolCalendar is not only good feature wise, but it’s also a fun, cute and playful looking calendar app. How so? Well, you can actually use stickers for your events agenda. They can be used for decoration purposes or to help you categorize special events. This app supports most calendars out there like Google Calendar or Apple iCloud. 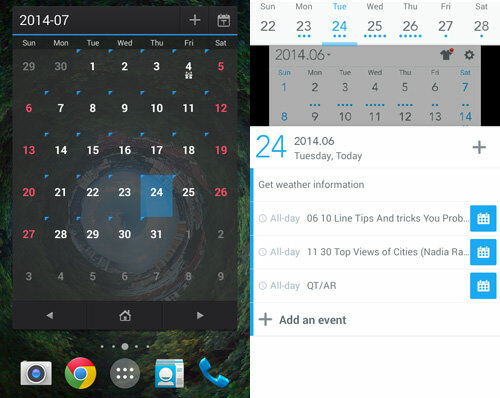 It also automatically syncs with your existing calendar on your device. ZDcal is a unique and beautiful calendar app that will give you a new experience in terms of multiple views. 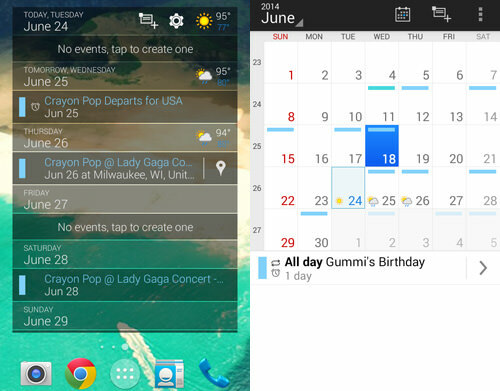 It allows you to swipe to view events and switch between calendars. Besides the common agenda and birthday calendar, ZDcal also provides you with horoscopes and a period tracker calendar that ladies may find useful.